Trends such as mobility, security, the Internet of Things, and Big Data all have one thing in common – they drive huge amounts of data. And to manage that volume of data, storage is critical, according to NetApp A/NZ managing director, Steve Manley. According to Manley, people wake up and think about things like how they’re going to disrupt their industry or how they’re going to analyse their data. But he claims that at the back end, there’s this massive challenge on storage that no one thinks about. “It’s getting bigger and needs to be solved. 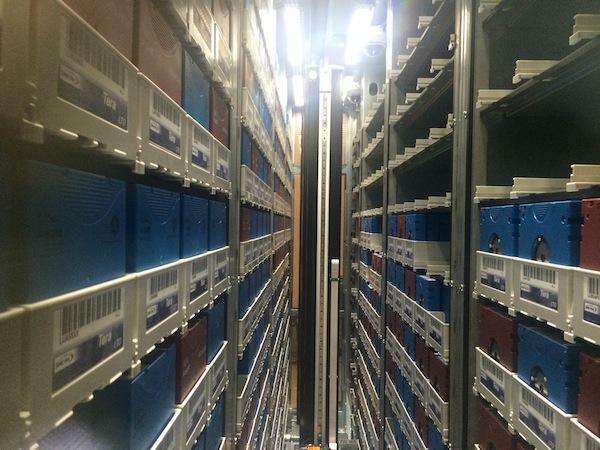 Storage isn’t the bottleneck – it isn’t the thing that’s going to stop you from being successful – but rather, it’s going to be the thing that enables your business,” he said. Manley mentioned there are currently two massive disruptions happening within the storage space – the first is flash and the other is Cloud. With Cloud, the question that vendors are now facing is if they’re to build one or not. Manley said if businesses don’t want to own the conversation, partnering is the best way forward in dealing with this problem. “If you can’t compete with companies like Amazon, Azure, or Google, it’s not going to work and that’s a validation of our strategy of not building a Cloud but partnering with companies that do. “The challenge we’re solving is the data fabric. It’s key to people that aren’t going to embrace hybrid Cloud because people aren’t all going to go on to the Cloud. It should be as easy to get off a platform as it is getting on one. That is us enabling the data fabric concept,” he claimed. NetApp A/NZ technical sales director, Matt Hurford, delved into the flash space. He claimed that businesses don’t want to see drives with just read and write optimised but rather, solutions that append data forever on storage arrays. “We will start to see more of very low duty cycle devices that will come in with archive space, behave a little more like tape but are dense enough to put petabytes of data in them. We’re investin gin that market,” Hurford said. Hurford identified competition within the storage industry isn’t coming from the company’s traditional rivals or any of the flash start-ups but rather, from hyperscalers. “They are the guys that are dictating how drives are manufactured, and they’re buying more than the storage vendors. So our long-term strategy is to accelerate into the flash storage and Cloud industries,” Manley mentioned. Manley also said there’s a huge role in it for the channel to play as well, because they can get involved in the services and transition ends of it. The only difference is that instead of it all being on-premise, there’s going to be components divided into on-premise and in the Cloud.